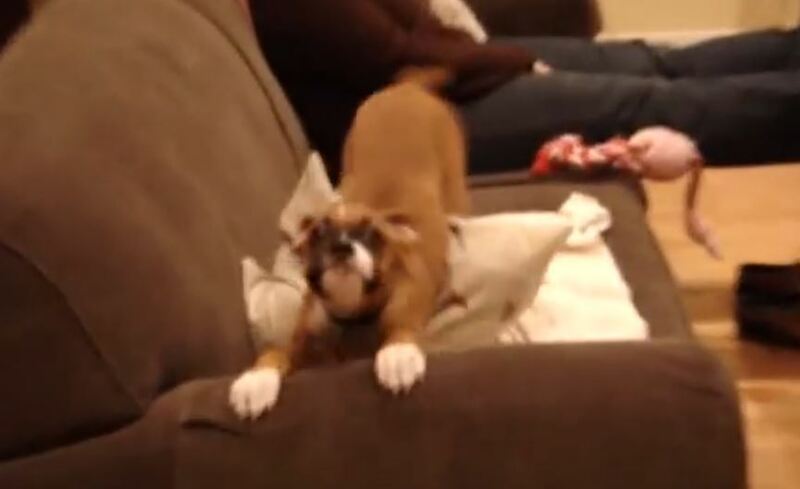 Bella The Boxer Can’t Contain Her Excitement! I Don’t Think I’ve Ever Seen A Reaction Like This! Dogs have a hard time controlling the excitement they experience when you walk through the door. They are filled with pure joy knowing that you are home to spend time with them again. Whether you have been gone 30 minutes or 2 days, they exhibit such a memorable reaction each and every time. This boxer owner decided to capture the excitement of his boxer Bella as he came home from work, and her reaction is priceless. Watch as Bella enthusiastically greets her human as he walks through the door.